Experience movement therapy training and relaxing massage with this set of two Franklin Method® small blue textured balls. This set of two Franklin Method balls is perfect for back training, Pilates, yoga and more. The honeycomb surface helps train perception and also provides a pleasant massage. Approximately 3 1/7” in diameter. Set of two. 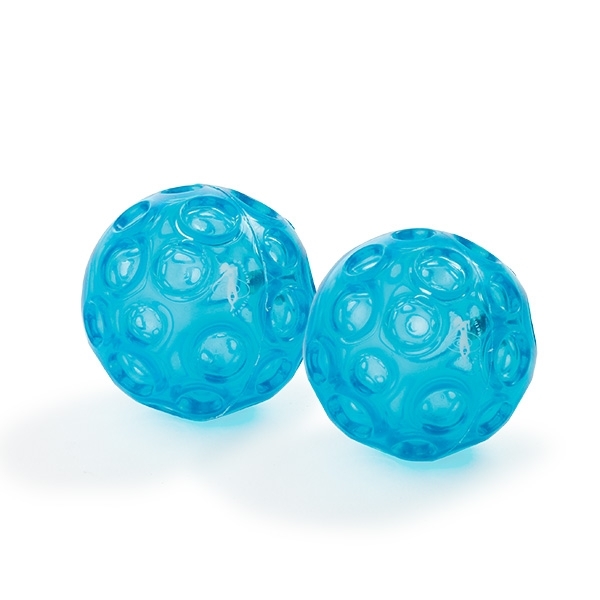 These smaller blue textured balls are so wonderful! They are easy to travel with and are great for massaging and releasing tension in all areas. I especially love using them for my feet and shoulders.